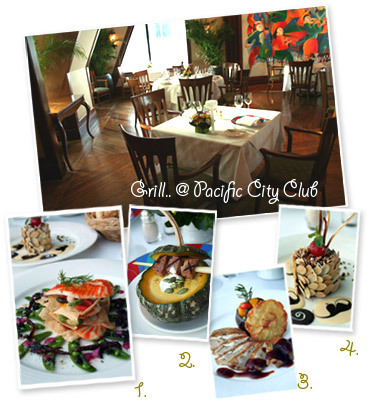 Located on the 29th floor of Pacific Place , (access is from Pacific City Club reception on the 28 th floor); the Grill at The Pacific City Club offers a unique dining experience in sumptuous surroundings. 1. 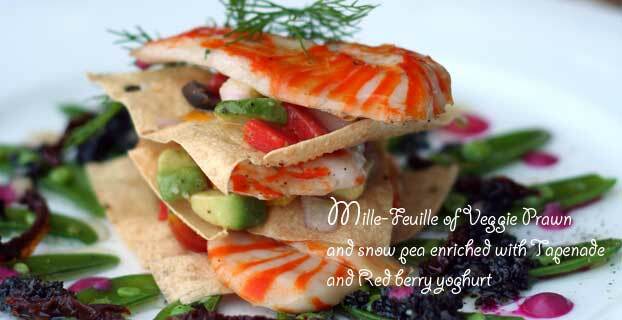 Mille-Feuille of Veggie Prawn and snow pea enriched with tapenade and Red Berry yoghurt. 2. Baby pumpkin soup with veggie lamb. 3. Pan fried veggie chicken breast with red wine coulis , accompanied by stuffed eggplant and maxim potato. 4. Chocolate Brownie Bianco with almond and black and white chocolate. 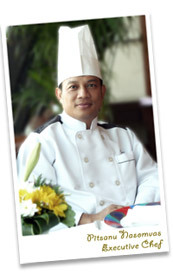 Alternatively, there are many international dishes on the traditional menu that chef will be pleased to prepare for you using SPA Foods ingredients.